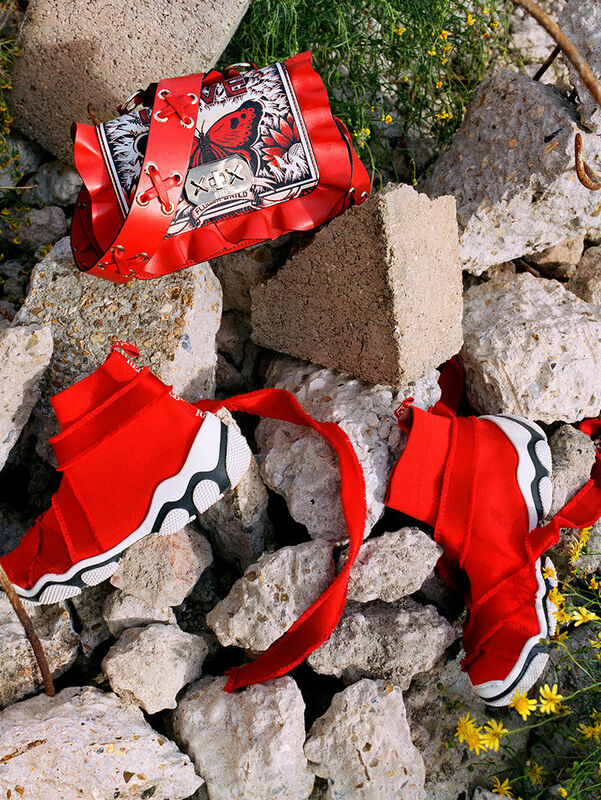 Shot at an industrial wasteland in London’s Bromley-by-Bow, models Irene Guarenas and Milena Ioanna dance together, and chase each other around a set featuring deck chairs and tumbleweeds. Featuring bold floral and fauna embroideries, tropical landscape prints and vintage-style ‘tattoo’ patterns, this season’s collection is all about affirming your strength and finding your independence through a nonconformist style. Bolds shades of red are paired with black, whilst summery whites add a touch of freshness. 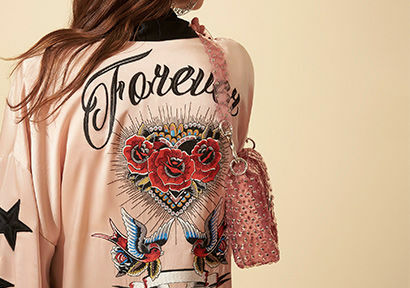 Outerwear takes a lighter stance through the introduction of hooded shell jackets, whilst in contrast, accessories take a bolder stand through the introduction of studs on shoes and bold graphic designs on bags. 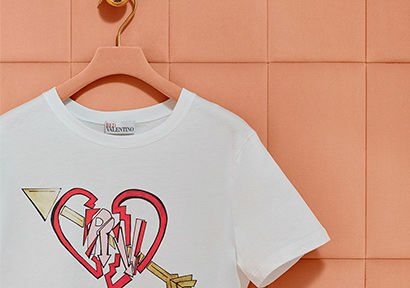 This season, REDValentino is proud to mix its own romantic style and identity with traditional Mexican iconography, creating a new aesthetic language.